It’s that time of year, where stores get crazy-busy and you have to rack your brain for gift ideas. Lucky for you, we have you covered. Whether your list includes a young reader, you want to encourage a reader or you are a reader and you just want to shop for yourself, this holiday gift guide will help. The Book Worm journal is great for your reader to keep track of the books they have read. It allows they to give the books a star rating and it encourages them to write stories of their own. Does your reader already have a collection of books? Encourage him or her to share! With the Personal Library Kit, they will be able to encourage their friends to read more, too. The trouble with a fun bookmark is that someone might pull it out of your book just to look at it and, in the process, lose your the place where you were reading. Legs bookmarks will attract that kind of attention. 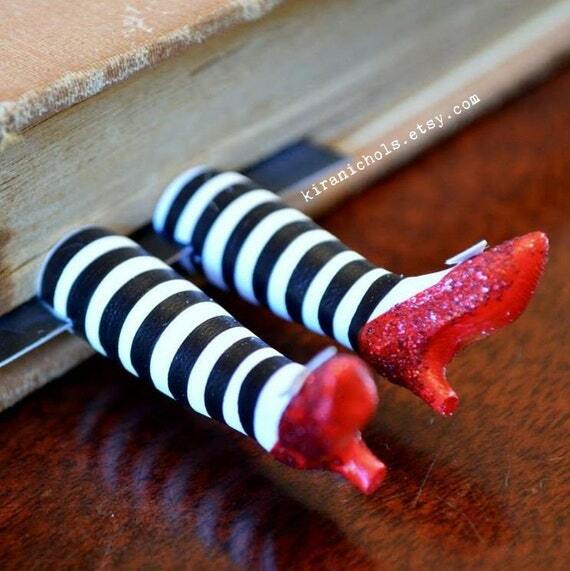 Who can resist getting a closer look at the Wicked Witch sticking out of your book? Mark-My-Time digital bookmarks are great for keeping track of how long your reader is reading. This works for the reluctant reader to make sure they are getting enough word time in, as well as the competitive reader who wants to keep track of who reads the longest. Clothing that announces your love for reading is sure to be in style, whether you are looking for book-themed t-shirts, socks or scarves. A reading mug is the perfect way to start a dinner conversation about your reader’s latest book. They just have to use the included chalk to write of the the book they are currently reading right on the mug for everyone at the table to see. Sneaking in some late night reading is much easier with a reading light. And your reader will like a headlamp light that makes it easy because then both hands will be free to hold the book while hiding under the covers. Etsy has an amazing collection of jewelry, for kids, woman and men. 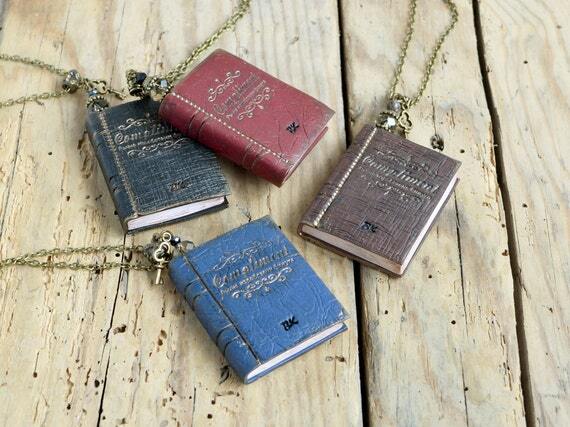 There is book-themed, as well as reader or writer-themed pieces. Start your browsing here. 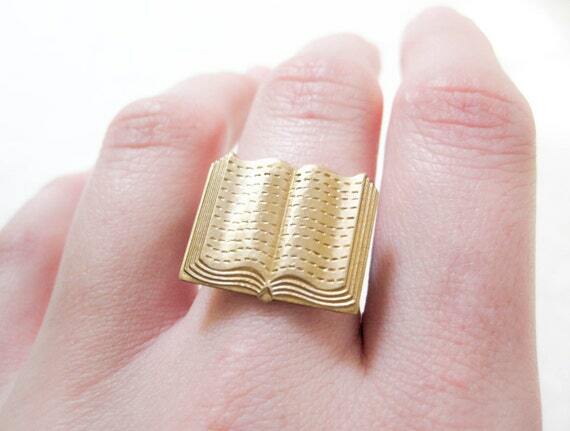 Let your reader show off their love of books with some bling. 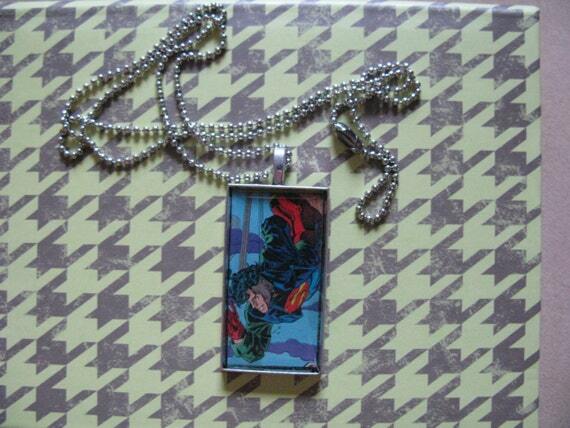 From superhero pendants to books on necklaces or rings. Do you have a budding author? 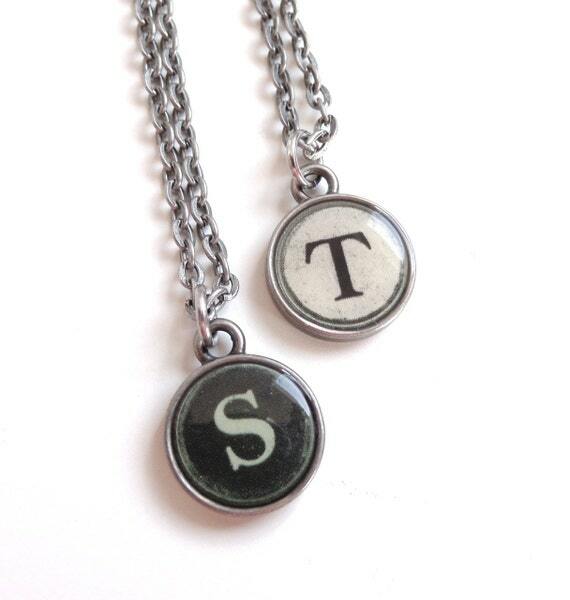 One of my favorites is the typewriter key necklaces. They are the perfect thing for your reader who likes to also write. Checking out a large stack of books from the library can be unwieldy and hard to carry. 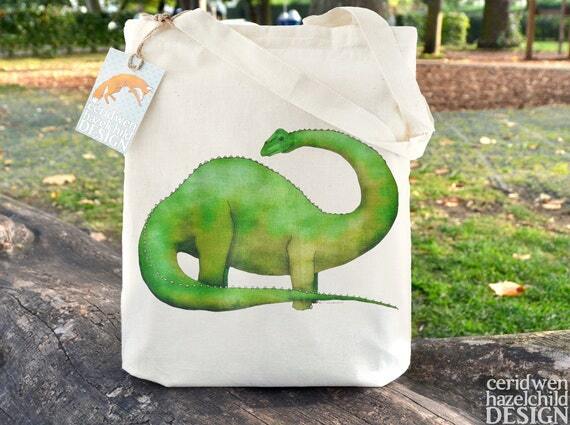 It’s easier to stock up when you have a tote in which to carry all your books home. Story games can encourage imagination. As an added bonus, they can help with writing skills, too. Both The Sorymatic Kids! 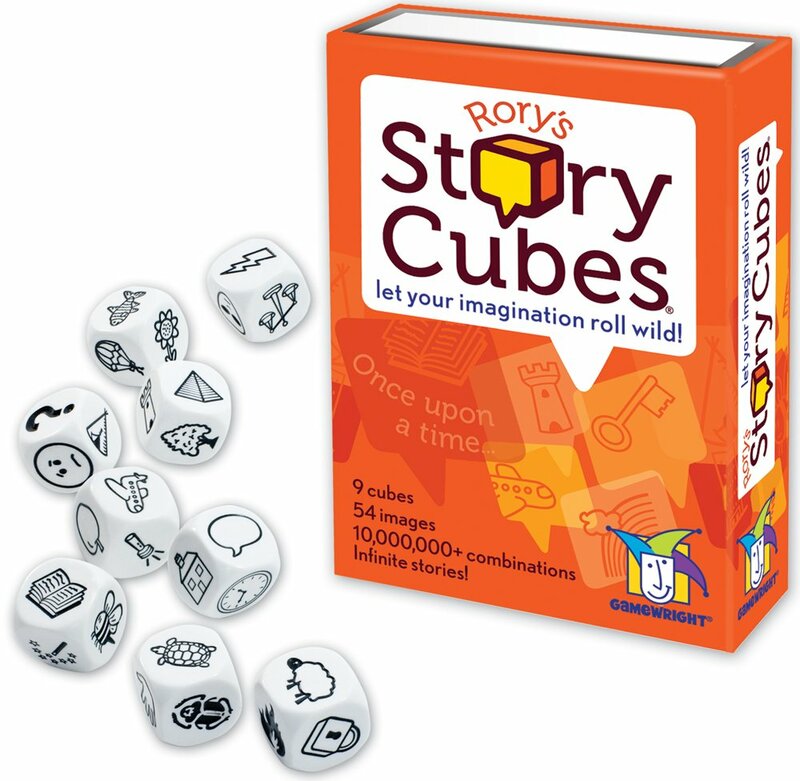 and Rory’s Story Cubes help young readers work on telling a better story while being fun to play. Not all kids are into superheros, but maybe your reader would still like an action figure? An Edgar Allen Poe action figure would be fun for your young reader. Or maybe your “ironic” teen reader. Sometimes offering a bandage for a paper cut is insulting. Sometimes an insult is exactly what you need. Reading is so much nicer when you are warn and cozy. A blanket or pillow themed for your reader can create a perfect reading spot, where ever they decide to read. Of course, if you want to go all out, you could even build your reader a reading nook. There are plenty of ideas out on Pinterest for inspiration. Will any of these ideas make it onto your shopping list? Do you have gift ideas for readers that you would like to share? Tell us in the comments below!